When: August 4-6. 2:00 PM to 5:00 PM August 4; 9:00 AM to 5:00 PM August 5; and 9:00 AM to 5:00 PM August 6. How: All three aircraft are available for walkthrough tours for $15 for Adults and $5 for Children 12 and under. WWII Veterans are admitted for free. Flights are available aboard the aircraft for a tax-deductible donation. 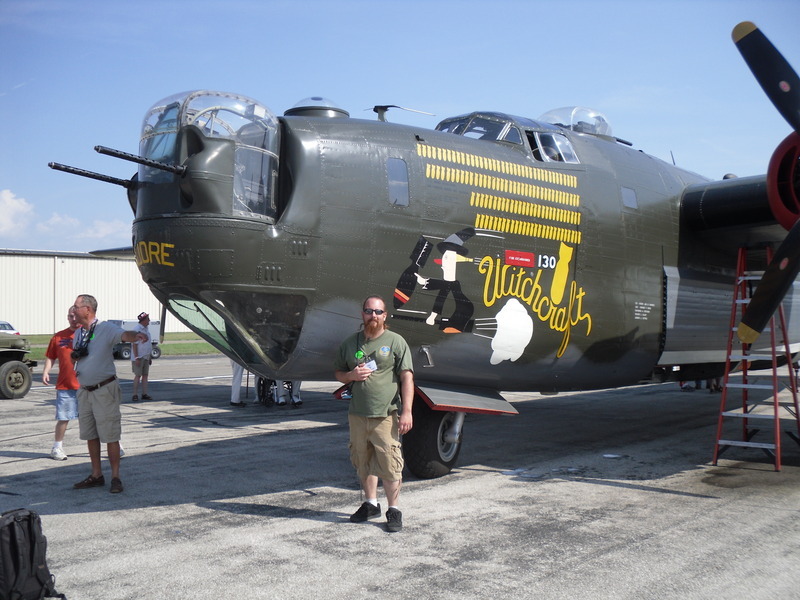 B-17 and B-24 flights are $450 per person. Flights on the B-25 are $400. Bomber rides are 30 minutes in duration. "Stick-time" aboard the P-51 is $2200 for 30-minutes and $3200 for 1-hour. Pilot’s license not required. For more information or to schedule a ride call 800-568-8924. EAA Chapter 104 will be hosting an all-you-can-eat pancake breakfast on Saturday, August 5, from 7am to 11am. All-you-can-eat pancakes and sausage is $6 per person. Children 5 and under eat for free. The Collings Foundation's Mk. IX Spitfire will be making an appearance at the Valparaiso, IN tour stop of the National "Wings of Freedom Tour." Valparaiso is one of only two "Wings of Freedom Tour" cities to host this iconic aircraft. "BR601" is arguably one of the most significant surviving Allied fighters in the world. That note about the Spitfire got my attention. One would almost think that it might be on its way home from Oshkosh. Is there any general way to tell what "extra" aircraft (Spitfire, Me 262, Corsair, Skyraider, etc.) might be with the tour at any particular stop? The CF web site does not seem to say. We had the Spitfire on Monday (Aug 7th) at LAF too. I heard some chatter implying it was leaving on Tuesday and also assumed it was on it's way through after OSH. I didn't make it back out to the airport on Tuesday to see if it was still there.